Despite not having much free time, the free time we do have must be filled with activities to keep us sane. For some that means watching DVDs on laptop computers, reading books, hanging with friends, etc. 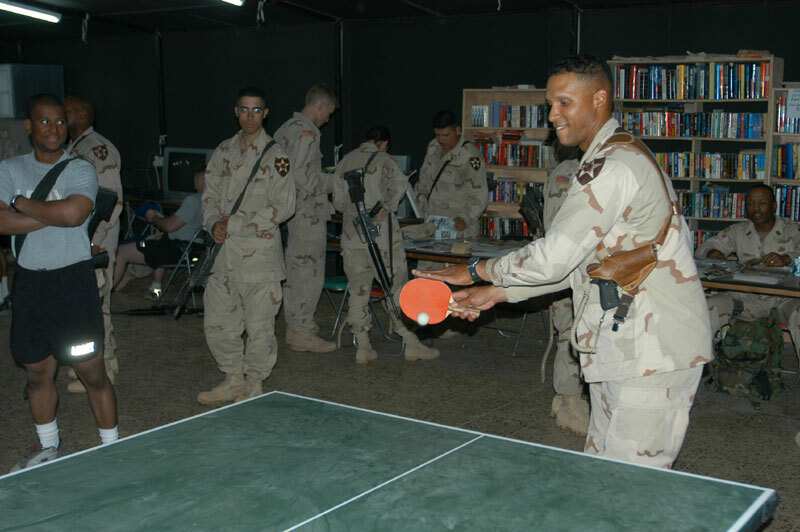 Of course, the Army always has an unlimited supply of ping pong tables.